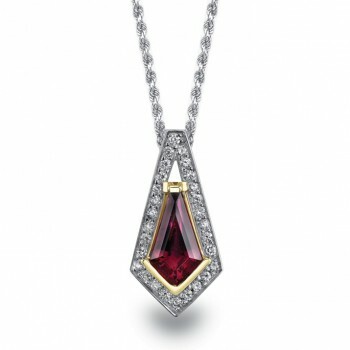 This design features a pair of round cut rubies that have a total weight of .18 carats. 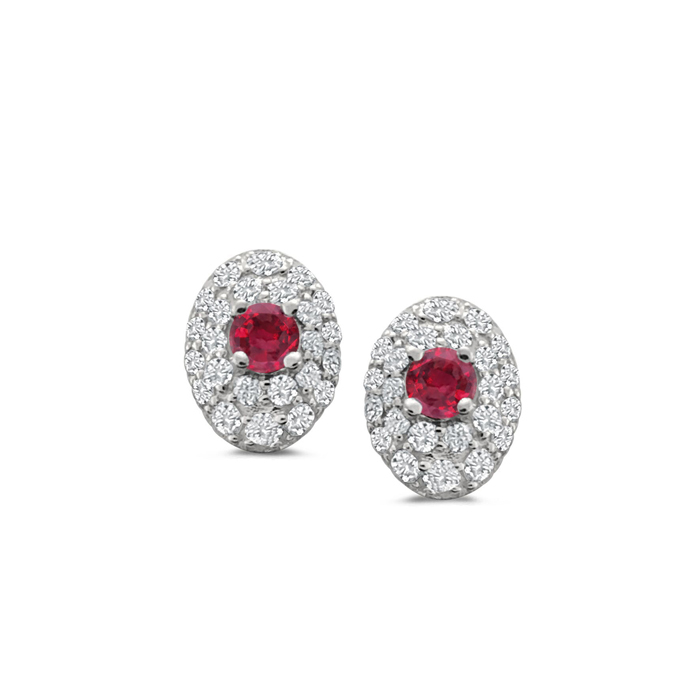 The side diamonds have a total weight of .30 carats. 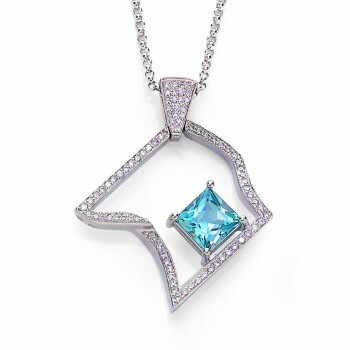 14 karat yellow and white gold vintage inspired pendant. 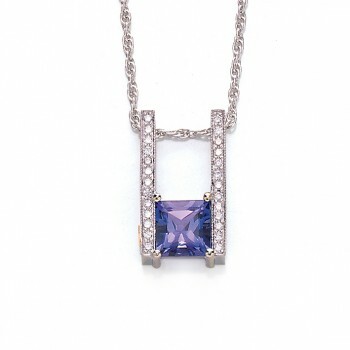 18 karat white gold vintage inspired pendant.